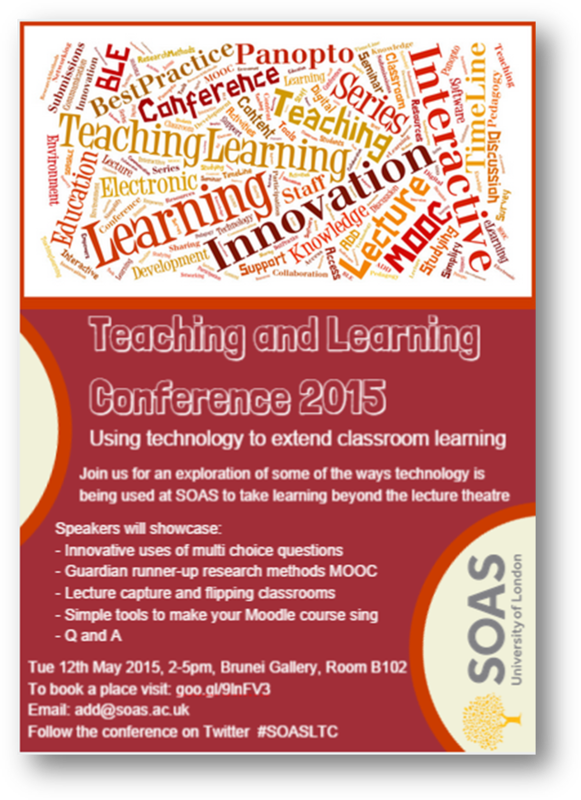 Thinking ahead for our Learning and Teaching Conference at SOAS, I thought what better to advertise the event than an eye catching poster? So I set off searching the Internet for a suitable alternative to Photoshop that was simple and easy to use. I came across Canva which helps you to create beautiful posters, presentations, cards, Facebook covers, photo collage and much more. 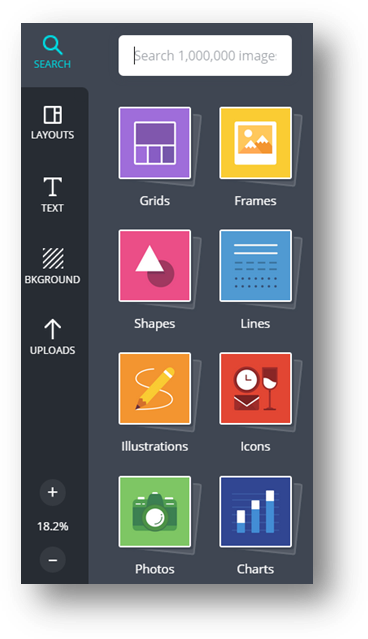 No longer do you need to be a master at Photoshop, Canva provides you with more than one million layouts, stock photographs and illustrations to choose from when creating your graphic. 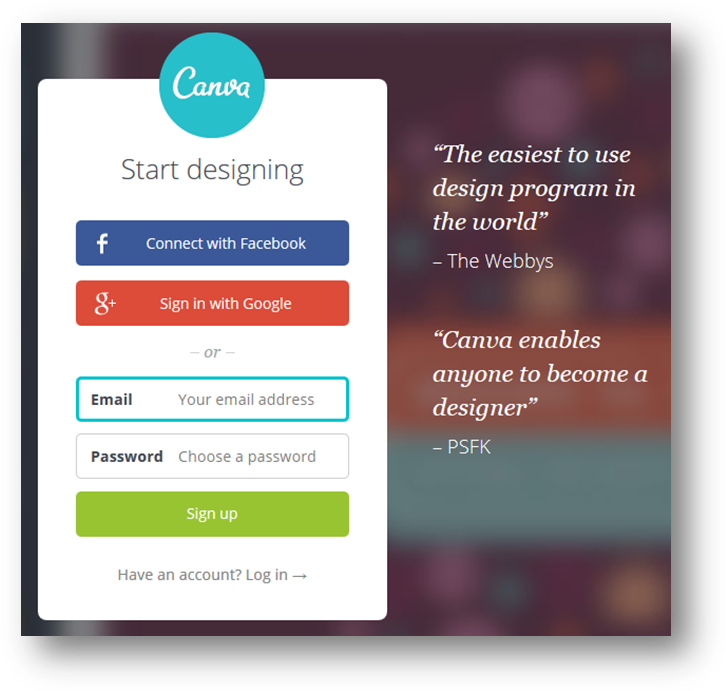 Canva aims for simplicity and it certainly does this effectively with the use of drag and drop to create designs. 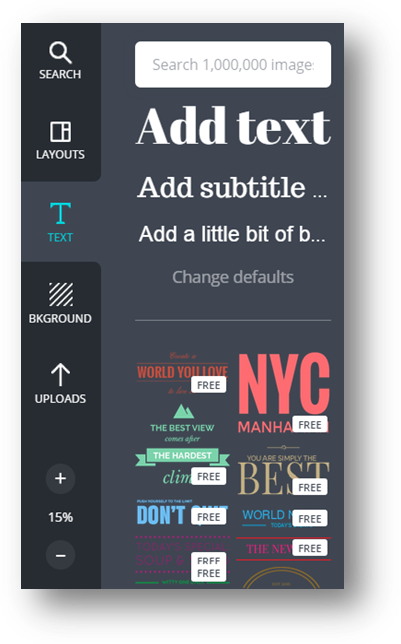 Canva offers hundreds of free elements and fonts for you to use in your design creation or alternatively you can also choose to pay for premium content which includes a library of more than 1 million images. 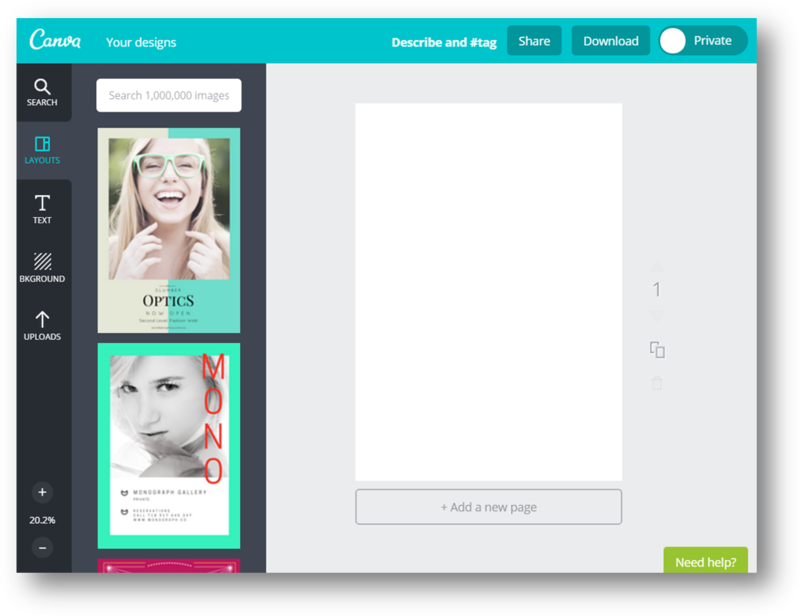 There is no need to use the existing images on offer from Canva as you are free to upload your own photos or graphics. Users can create designs individually or collaboratively with others on designs that can then easily be published to social media, blogs or websites. 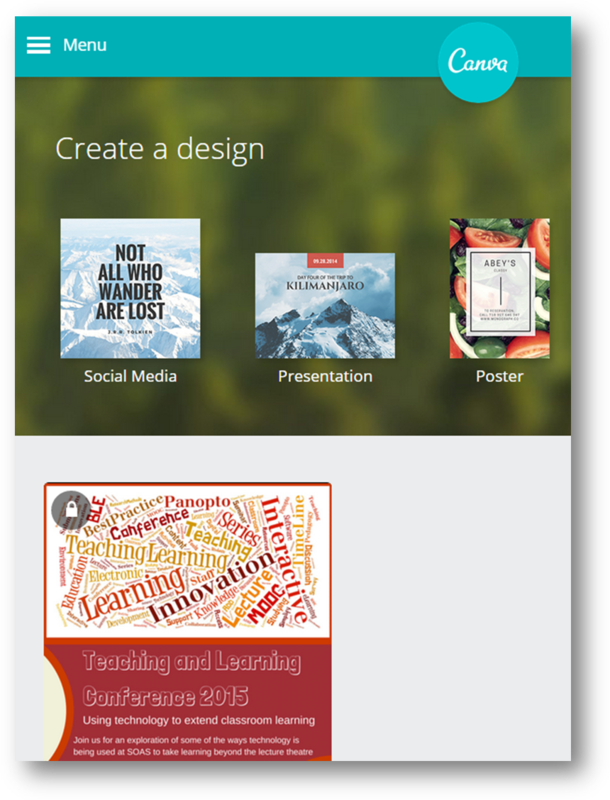 When you have created your accounted and logged into Canva you will be presented with the homepage where you can select what type of design you wish to create. For this blog I have selected the poster design. Start off by selecting the type the layout of your poster from the numerous templates simply click on the tile which will then appear on the right hand side ready for you to edit the template. You can either insert your images, alter the layout or add your own text, alternatively you can create your own poster from a blank template. After selecting the layout click on the background option to set your background colour or image. The background colour can be set either by clicking the coloured circles or from one of the background templates from the list. 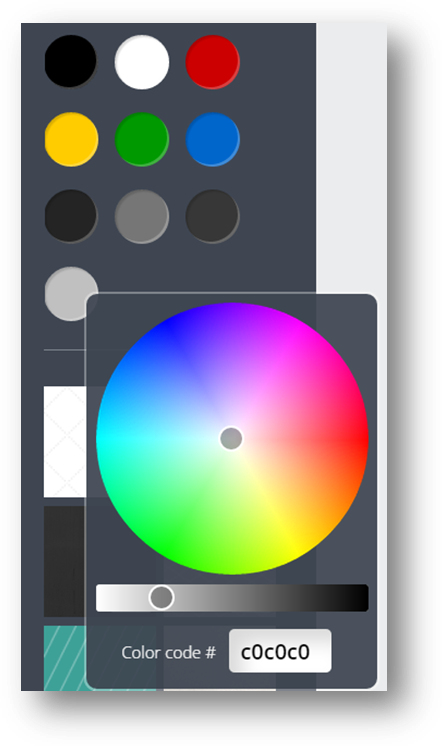 Remember you are not restricted to the coloured circles as you can create any colour by clicking in the circle with the plus sign then selecting the colour from the colour wheel. 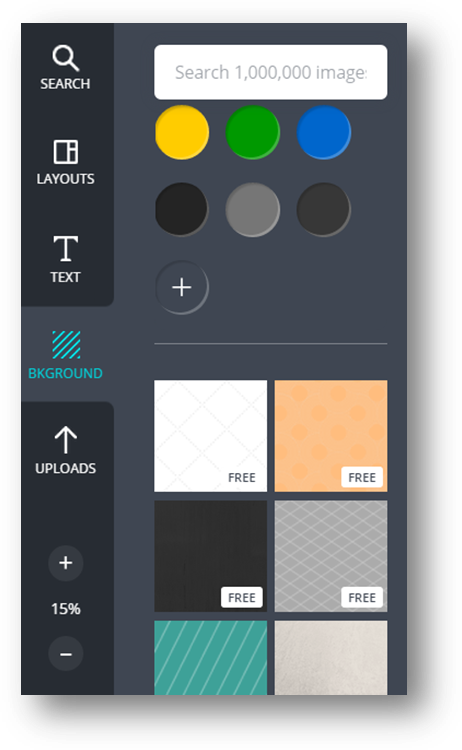 Please note that if the background template that you chose has a cross-hatch pattern with the Canva logo in the middle, which indicates premium content meaning you will have to pay $1 for it before you can save your graphic. 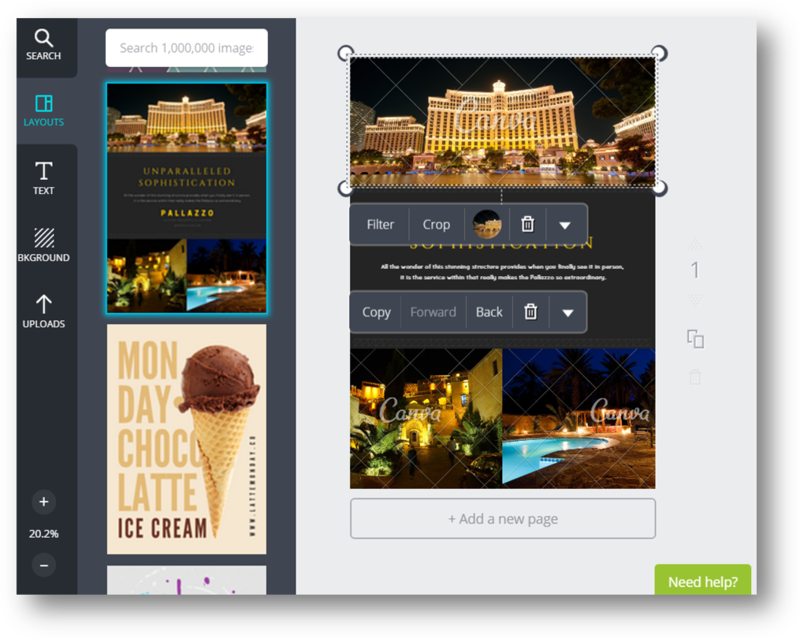 You can add images to your design by dragging and dropping it straight into the editor or you can use the search function to search from the vast number of images that Canva has available. 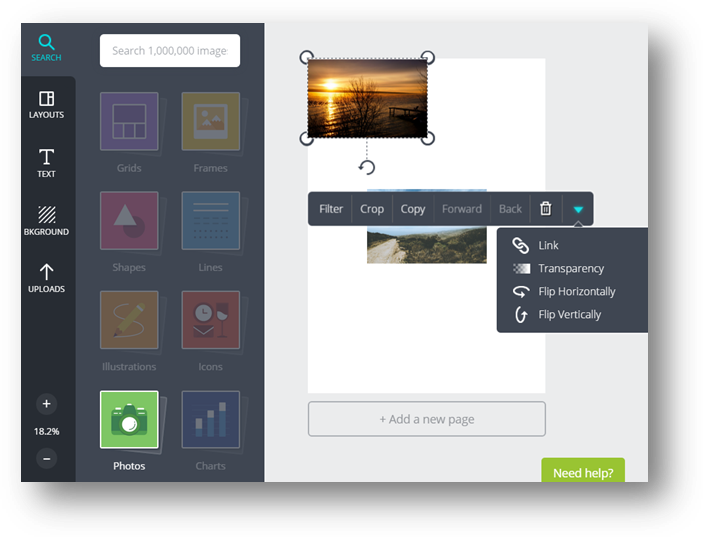 Inserted images offer additional functions when you click on them, which include resize, rotation and cropping. In addition clicking the blue triangle allows you to insert a link, set the transparency and the flip the image. Select the Text option to add text content to your poster. From the menu bar you can select if the text is a heading, subtitle or main body text, in addition to this you have text templates that you can use. 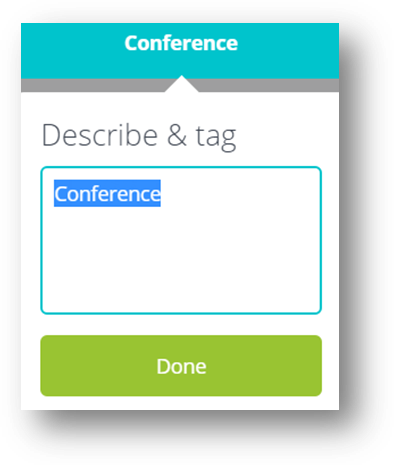 Once the text box has been added to your design, simply click the text in the dotted area to type in the text. Clicking the text box also allows you can amend the font, size, and colour, or delete the box altogether with the trash can icon. Click the arrowhead on the right end of the bar to see more formatting options such as bold, italic, alignment, text spacing and more. Once you have finished your poster you can click on the text along the top to describe and tag your poster and then click the Done button. 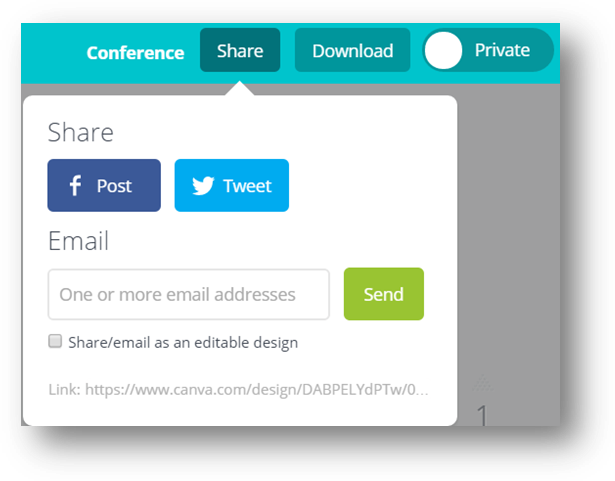 You can share your completed design directly from Canva to Facebook or Twitter by clicking on the Share button. Alternatively if you wish to work in collaboration with others so that they can edit your design, tick the Share/email as an editable design option. 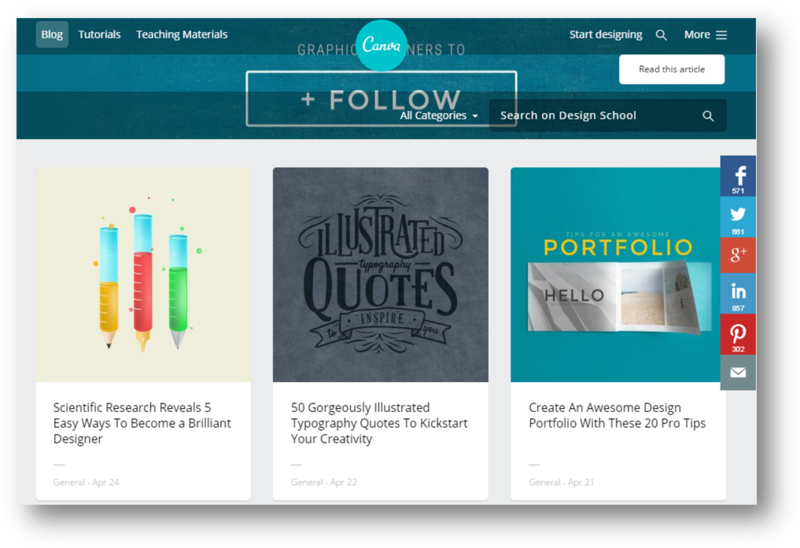 Towards the top right you will notice that there is an option to make your design public or private, if set to public other Canva users will be able to search for your design. Click the Download to see the options to save your completed design either as an image or as a high quality PDF. From the homepage you will notice two additional options Stream and Design School which are a great starting point to get some inspiration and advice on your develop and improve your own design creations. 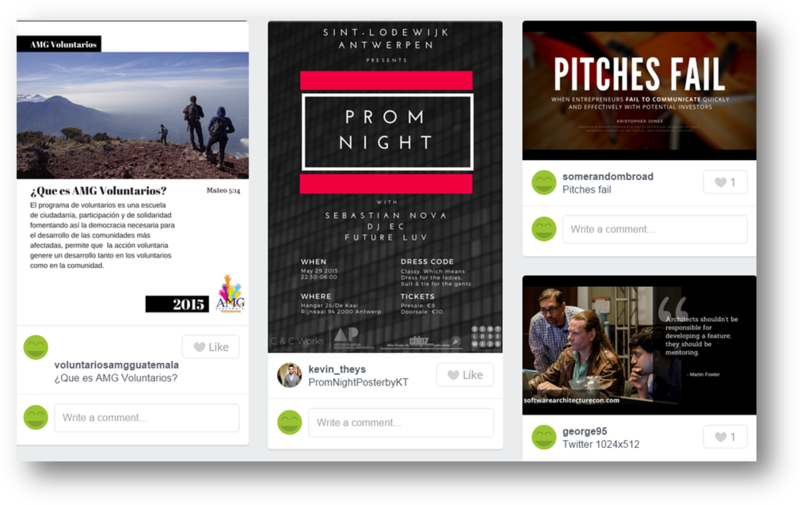 Stream – Canva introduced this feature in November 2014 allowing users to share and discover designs, which facilitates social media functions such as following, commenting and liking posts. Design School – I would recommend that you have a look here before starting your first designs as it has some great daily design articles, interactive tutorials and tips to help you with your designs. Have you ever come across a webpage that you wanted daily updates of new content that has been added in the form of a RSS feed only to find out that they do not have any dedicated feed to subscribe to? 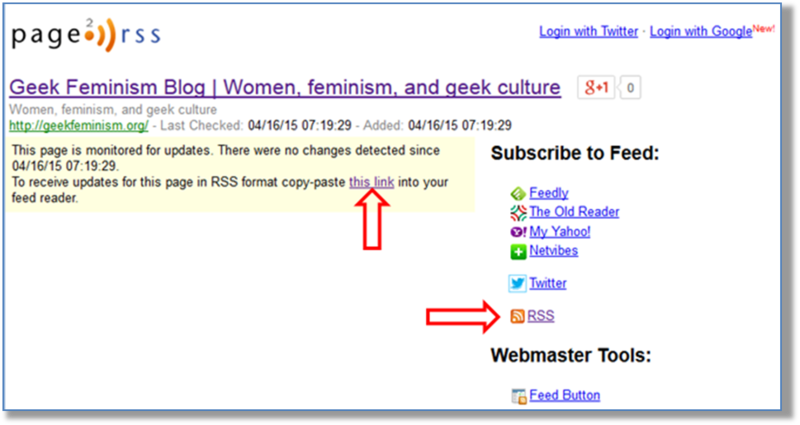 Before I continue this blog let’s clarify what an RSS feed is and why you would use one. RSS stands for Really Simple Syndication and is often described as a news feed that you subscribe to receive regular updates of your favourite websites. Prior to the advent of RSS people would have kept track of updates for website by bookmarking the page in the web browser and then manually returning to the page on a regular basis to view the new updates. There are a number of problems with this method which include that the reader has to do manually check for updates, updates can be missed if you forget to visit the website and time is wasted visiting sites that have not had regular updates. RSS feeds basically tell you every time a website has had a new update, in some ways similar to a magazine subscription in that you receive periodical updates of new content however instead of physical copy of the content it is delivered to your RSS reader every time your favourite website is updated. No imagine you come across a website and you want to subscribe to the RSS feed only to find that this service is not available. So what do you do? Well this brings us conveniently to the tool of the week is page2rss.com which provides a service that produces a RSS feed websites that do not publish feeds. It works by checking the pages regularly to find any changes in the webpage and when it comes across any updates this is pushed through to the RSS feed to display the new information in the feed reader. For example you may want to know when the next article has been published on the geek Feminism site (http://geekfeminism.org/) however rather than having to check every day on the website or sign up via email you can use page2rss to create a RSS feed so when a new event has been published you will be updated on your RSS feed. 3. You will then be presented with a link for the website, when Page2rss last checked the site and when there were changes made to the site. You can either copy and paste the hyperlink entitled this link or RSS (see above) into to your RSS feed read or click the link and then select Subscribe Now to active Live Bookmark feeds of new updates. Page2RSS also offer the ability to push RSS feeds to your Twitter account, simply click the Twitter link (see above) and you will be redirected to the authorisation screen where you enter your Twitter account credentials so Page2RSS is able to post updates via Twitter. Page2RSS is also available as a plugin for Chrome which works well as it seamlessly integrates itself into the browser and monitors for RSS feeds for the current page being viewed. If no feeds are detected for the page then a Page2RSS icon in the address bar will appear and by clicking the icon will offer a number of ways to quickly subscribe for updates. 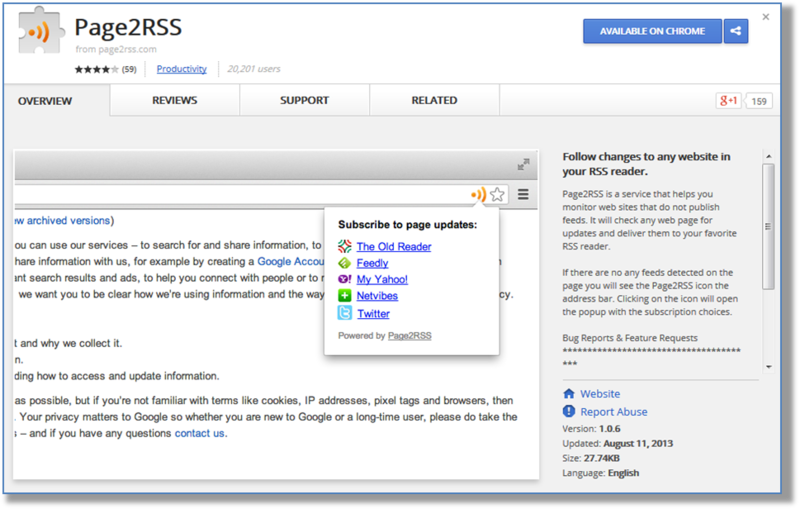 Page2RSS offers a simple but effective solution for anyone who wishes to receives regular updates for their favourite webpage. The additional options to link with Twitter and add a plugin into Chrome offer advanced options which will please those looking for something beyond the basics. 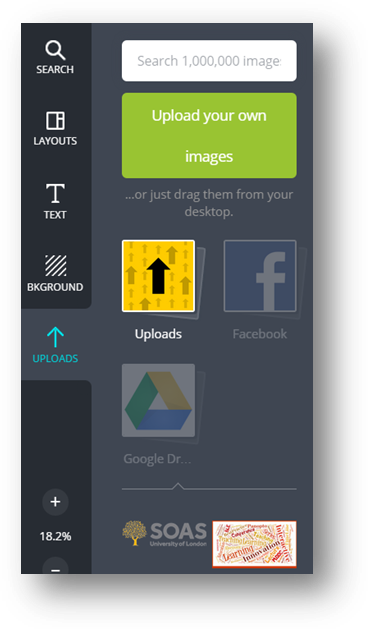 Pocket is a simple but effective tool for storing content including text, images and videos that you have come across whilst surfing the internet may not have had time to view straight away. 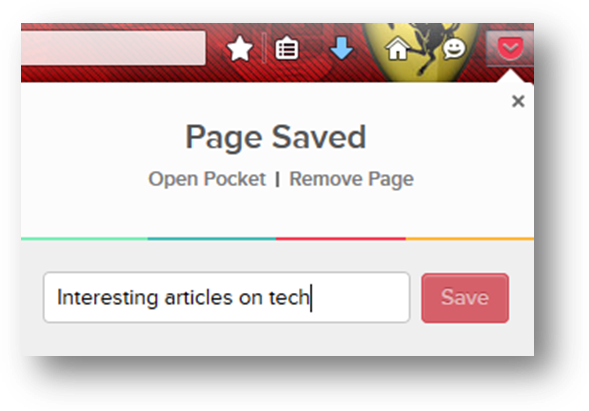 Rather than send yourself a link of the site or bookmark the page to come back later, Pocket offers an integrated solution within your desktop or mobile (iOS and Android) web browser to save content for viewing in the future in offline mode. 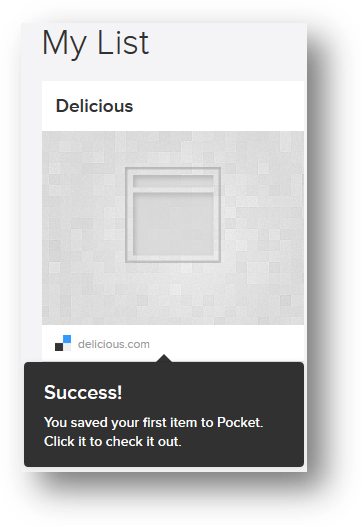 Pocket is simple and easy to use with one click content is saved and you also have options to email links to Pocket which it will save for you. Saved content can be marked as read or you can delete content that has already been viewed. 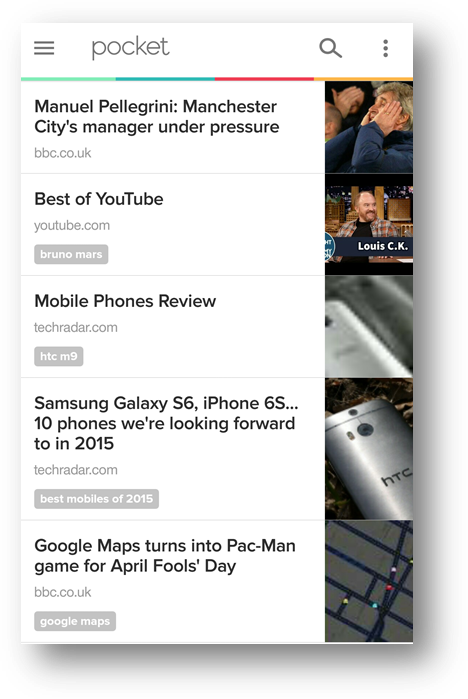 Pocket is integrated in over 500 different apps on the web, making it easier to save from different places. Check out their full list of apps. 1. 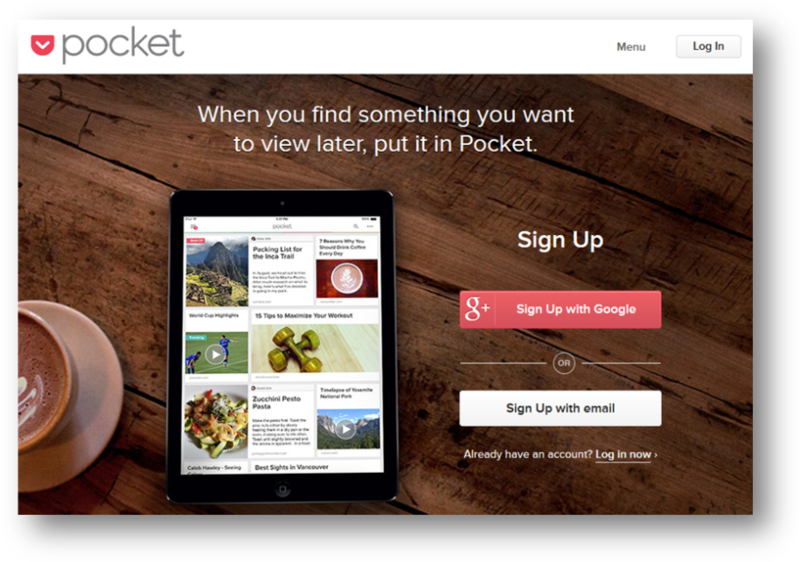 Create a free account by visiting www.getpocket.com and then clicking Sign Up Now. 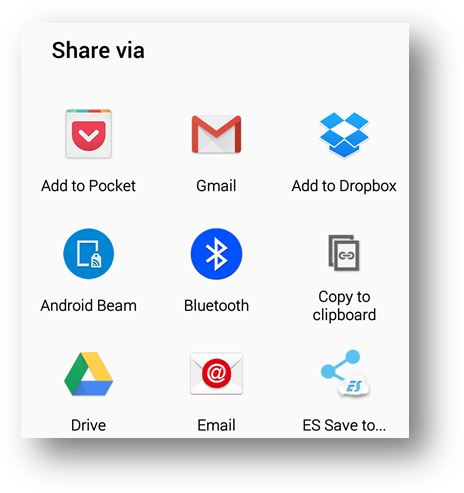 Click Sign up with Google if you have a Google account then select this to speed up the process of account creation and it will also automatically ask if you wish to install the app on your Android phone. Once you click the Add To Firefox button a message in the top left corner will appear asking you if you wish to enable the Pocket service in your Firefox toolbar, simply click the Enable Services button. Hovering over the web address of the saved page allows you to share, archive, delete, edit tags or favourite it. You can also search your saved content via the search tool which is situated towards the top right corner. After the app installation on your mobile, login into your account by entering your email address and password whereas if you have Google, simply click the Sign In with Google button. 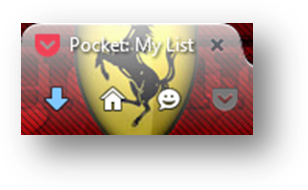 Once logged in you will be presented with the following menu options to navigate your way around the Pocket app which is similar in appearance to the desktop version. 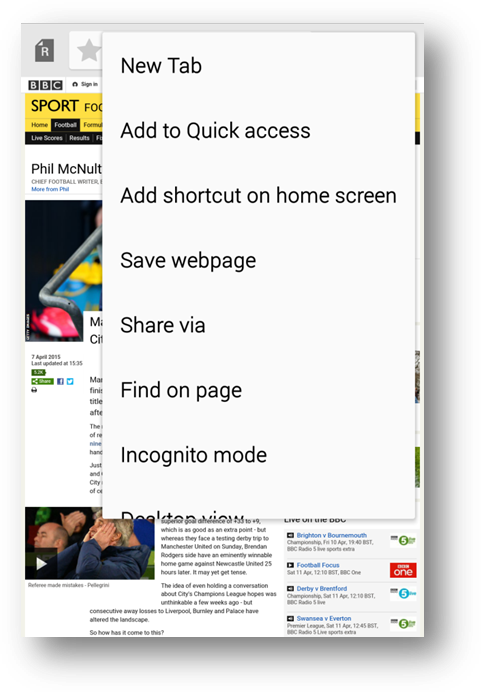 Any items you have saved on the desktop version of Pocket will be synced with the mobile app so you can read those articles you saved for later on your mobile. Highlights - this feature creates automatic categories which contain the most popular items you have saved to your List. Please note that items will only appear once you have enough items saved to your List. 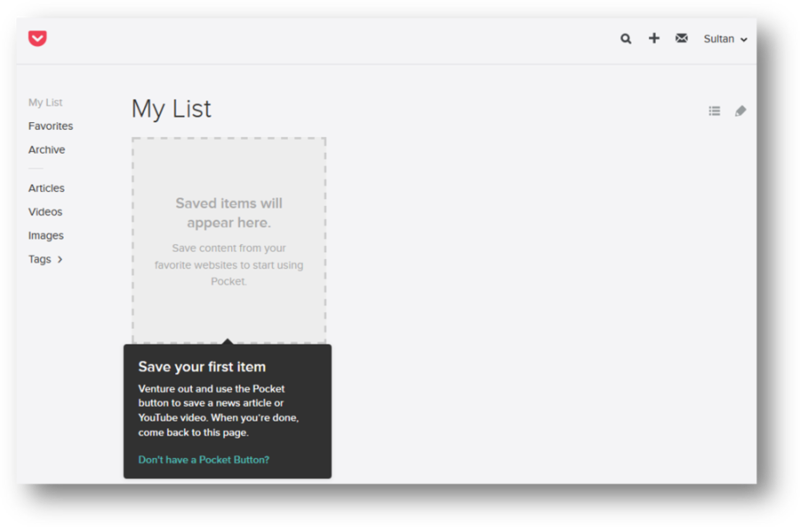 My List – saved items will be displayed in your List. Items are sorted with the newest at the top however you can amend this to show oldest if you wish. 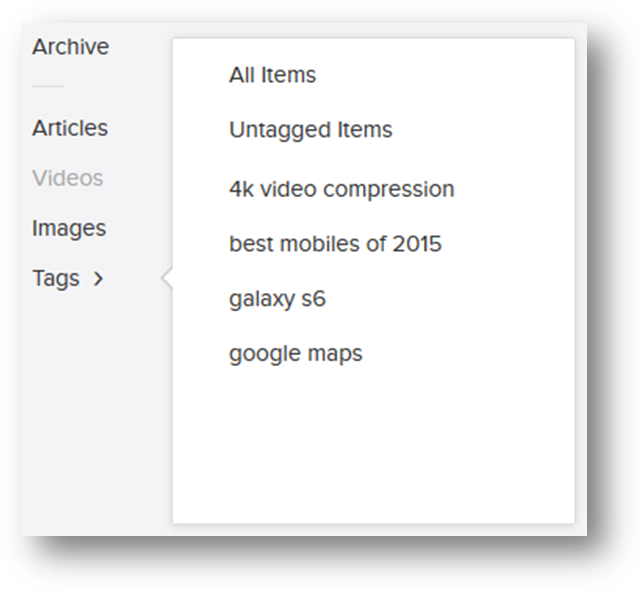 Content Filters – you can filter content in your List by Articles, Videos, and Images. Shared to Me – this option lists items that have been shared with you from a friend. Tags – use Tags to organise your items in Pocket. You can use this to filter what items you wish to view by selecting a particular tag. Favorites - mark important items as a Favourite. Archive – use this option if you wish to file away items that you want to keep and read in the future. Inbox – any item received from a friend will be displayed here. Items will remain in the inbox until you Add it to your List or select Ignore it. Premium – paid for service which includes Full-Text Search, Suggested Tags, and a Permanent Archive of everything you save. 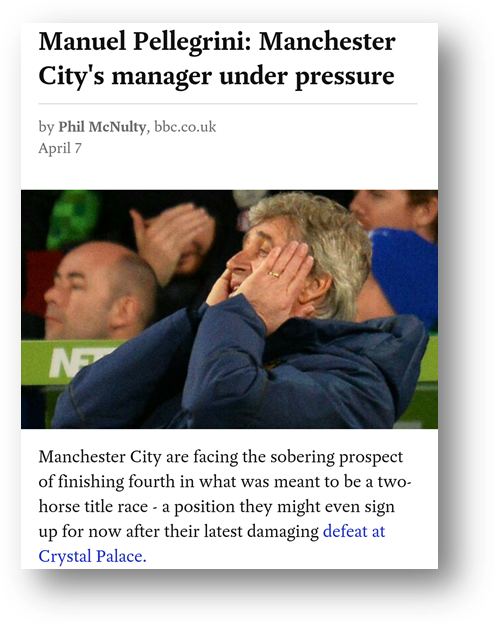 In the example below I am using the Android version of Pocket. I found that the mobile app showcases the tool best as it provides greater freedom to login anywhere and anytime to view what you have saved without the need for an internet connection. This is a useful app for those long tube journeys when you wish you had access to the Internet! Everyone knows how to do a simple search on Google but how many know how to utilise the advanced search options to obtain more relevant search results? In this guide we will explore some of the hidden gems that Google has on offer so you can improve your search results for find exactly what you are looking for. You can use special characters and words to get more specific search results. Except for the examples below, most punctuation is ignored. For example, a search for dogs! is seen by Google as dogs. When you put a word or phrase in quotes, the results will only include pages with the same words in the same order as what's inside the quotes. Please note: employ this search method require the exact word or phrase, otherwise search may exclude many helpful results: "SOAS BLE Blog"
Add an asterisk within a search as a placeholder for any unknown or wildcard terms. Tip: Use with quotation marks to find variations of that exact phrase or to remember words in the middle of a phrase: "a * saved is a * earned"
If you cannot remember every operator use the Advanced Search page to create filter your searches. Ensure you do not leave any blank spaces in a search, example for site:bbc.co.uk will work, but site: bbc.co.uk will not. Google images removes the need for you to type in keywords and terms into the Google search box. 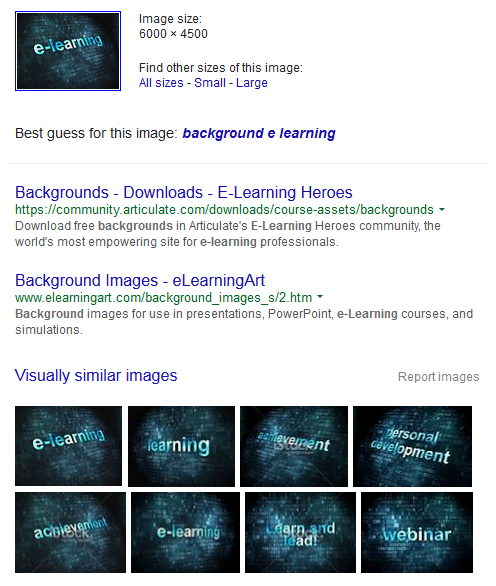 Instead, a user submits their search by an image as their query. Results may include similar images, web results, pages with the image, and different resolutions of the image. 1. 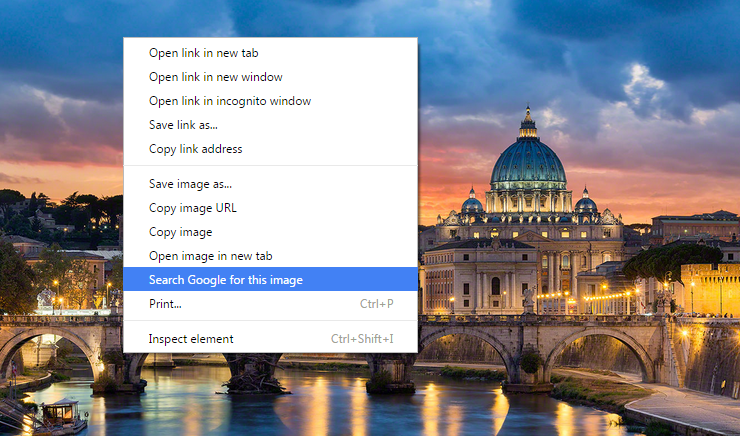 Drag and drop an image from the web or from your computer into the search box (Drop image here). Please note that some browsers do not support this feature. 2. 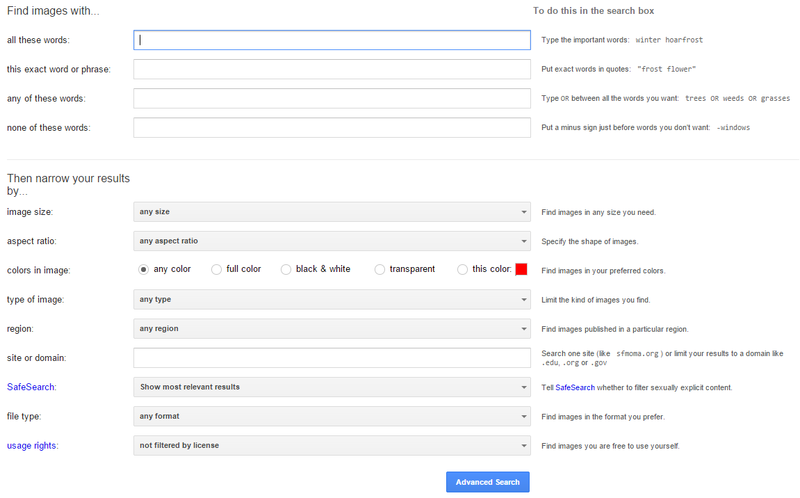 Upload an image - Click the camera icon in the Google search box. 3. Search using image URL – Same as above click the camera icon in the Google search box however this time copy the URL of the image URL into the box labelled Paste image URL and then click Search by image button. 4. 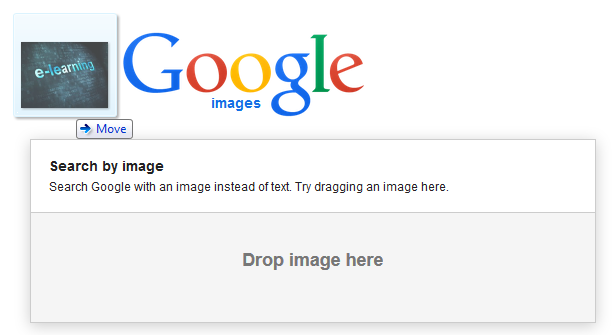 Right-click an image – Either in Chrome or Firefox, right-click an image and select Search Google with this image. Please note that Firefox will need Google's Search by Image add-on. Why not try using some of the image Search tools which will allow you to specify what dimensions image, a particular colour that should be prominent in the image, the type of image, when the image was created, set the copyright of the images you want displayed in your search results, whilst selecting more tools you can choose to display the dimensions of the images in your search results. Once you are viewing your search results you can narrow your results further by clicking on the settings icon and selecting the Advanced search option.